As I am no longer the secretary of the Barnsley War Memorials Project (BWMP) I do have a little more time on my hands these days. Sadly I have been quite poorly for the past couple of months and am spending more time at home resting or in bed than going out to the Archives, wandering around cemeteries or attending the local history group. 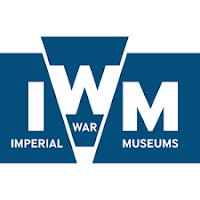 I am managing to catch up with some of my own family history (and that of the OH) while still contributing to WW1 research as an official Imperial War Museum volunteer by adding war memorials to the War Memorials Register and men who did not serve abroad to Lives of the First World War. I have also continued to contribute to the BWMP by indexing issues of the Barnsley Chronicle from the war years. Yesterday, feeling too woozy to try constructive thinking, but pain-free enough to try typing again I completed the index to the Barnsley Chronicle for 17 March 1917. A week ago I posted about a conscientious objector I found mentioned earlier in this issue and in the very last column of the very last page another article caught my eye. This snip about Warde Aldam Hospital (a nice old postcard of the hospital can be seen here) was part of a section headed South Elmsall, but I do believe in entering every mention of a solider, ex-soldier or potential soldier (when I say soldier please understand that I also mean sailor, airman, munitions worker, male or female and anyone else affected by the war). After all this index is going to be on the shelves of Barnsley Archives for people to consult to help them find their WW1 relatives, so let's include everyone! It seemed odd to me that the managing director of a hospital would be killed in action - no date was given for his death but I thought it worth a search on Lives of the First World War and on the Commonwealth War Graves Commission to see if I could find out more about this man. Surprisingly there was only one Lieutenant J N Walker listed on the CWGC. As you can see from the snip above Joseph Noel Walker's entry does not include any useful personal information, no age, no additional family details. He was killed on 4 July 1916, so during the Battle of the Somme, and we we can tell that he has no known grave as he is listed on the Thiepval Memorial. 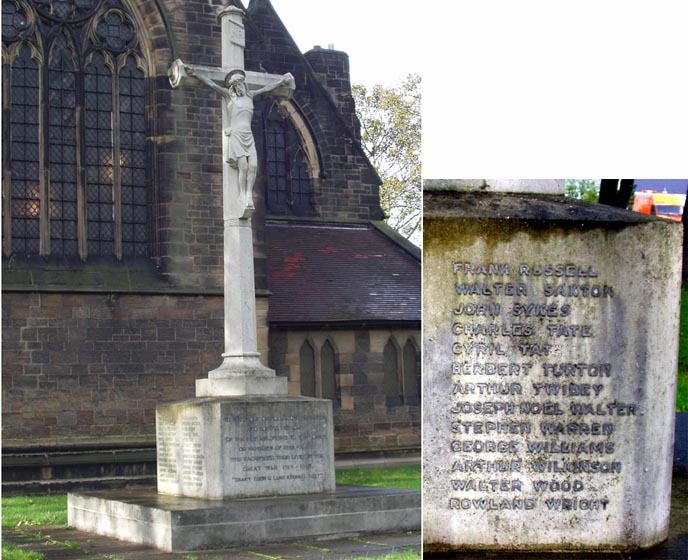 His entry on Lives was even more surprising; I discovered that I had already 'Remembered' Joseph as part of the BWMP because he is listed on the war memorial in Carlton, a small village about 3.5 miles north east of Barnsley. You can find the full list of names on this memorial on the BWMP page here. So what was the managing director of a hospital in South Elmsall doing listed on a war memorial in Carlton, Barnsley? I am enjoying the new GRO indexes with mother's maiden names, full middle names and ages at death all the way back to 1837 but you can only search them 5 years at a time, so for speed it is easier to look for the birth of a person (provided they have a 'good' name) on FreeBMD first and then cross check on the GRO to find the mother's maiden name. Joseph Noel Walker was born in the York Registration District in the December quarter of 1882 and his mother's maiden name was Holloway. With a fairly distinctive name like this I imagined it would be easy to find Joseph in the census returns and the parish records on Ancestry (my subscription site of first choice) Ha! I was beleaguered by spelling mistakes and bad transcriptions, so much so that I resorted to searching on Find My Past instead. Here I found him in the census in 1911 (head of the household with only two servants and visitor for company in Hooton Pagnall, occupation Mining Engineer), 1901 (Monk Bretton, occupation Mining Student, living with relatives). I was unable to find him on the 1891 census, when he would have only been eight years old and presumably living with his parents. The mystery deepens, how did a mining engineer get involved with a hospital? Was he listed on Carlton war memorial because of the family connection in Monk Bretton? A closer examination of the two returns showed that Joseph was born in Huxby or Haxby, that he was the nephew of James J and Mary Addy who both seemed quite old (51 and 49) to have two small children (Carlton aged 10 and Roland aged 9). James Addy was a Colliery Manager, and an employer. It does make sense that a nephew would be 'sponsored' in his future career by an interested uncle in a position of influence in the mining industry. A bit of tracking backwards and forwards for James Addy revealed that he had married the widowed Mary Hammond in 1888 when he was 38 years old. Her maiden name was Holloway which provides the connection to Joseph as this was his mother's maiden name. I also discovered that James J Addy was the manager of the Carlton Main Colliery Company in 1923. A Google search for Joseph Noel Walker turned up a memorial page to him created by Durham and Newcastle Universities. He had been away at school in Barnard Castle, Durham between 1893 and 1899, before studying Mining Engineering at Armstrong College (founded in 1871 for the study of physical sciences and later part of Newcastle University). The entry gives his date of birth as 13th December 1882 in Haxby, Yorkshire which fits with what I had already found. It does not give his parents' names, although his wife Grace (nee Dalton) whom he married in 1914, is mentioned. Annoyingly I cannot find a clear picture online of the memorial at the College which contains his name, even the usually wonderful North East War Memorials Project only has a transcription of the names. As I was getting nowhere fast trying to find Joseph's parents with any of my usual methods I decided to see exactly what brothers and sisters he might have had. That at least would give me a clue as to when his parents married. When I do this kind of research, especially in my current woozy condition, I tend to attack it in a scattergun kind of way, and sometimes looking back as I am now I realise that I could have saved time and energy by trying other sources sooner. It would have made sense to try to find his marriage to Grace in 1914, as highlighted by the memorial page from Armstrong College, that would have given me his father's name if an image was available on Ancestry or FMP, and given the status of the family there was likely to be an entry in the newspapers ... but I didn't think of that until later! I digress, sorry. The nice distinctive names and the consistency of the family in the York area helped me to find a census return for 1881 showing Harold C Walker aged 1 month (lucky!) with parents Alfred and Emma and elder brother Alfred H all living at Haxby Hall (there is a nice picture of Haxby Hall here) in Haxby, about 4.5 miles north of York. Success! By 1911 Alfred Holloway Walker is a 'Clerk in Holy Orders' living in Cambridge, Harold Carleton Walker is a Colliery Salesman living at 33 Gawber Road, Barnsley (and the property appears to belong to James J Addy), and as we know Joseph Noel Walker is in Hooton Pagnall as a Mining Engineer. It was at this point too, that realising how distinctive the family names were and what exalted circles they moved in that I tried a series of searches in the newspapers on Find My Past. This snip explains why the family was so hard to find, Alfred Walker died when Joseph Noel Walker was only two years old. Master Alfred Walker is mentioned as one of the principal mourners, he would only have been five years old himself. There are the Hammonds with a link to Barnsley and a Holloway, the family names I have been discovering while doing this research. The boys must have been sent away to school or to stay with other relatives and Mrs Walker, who was Emma Holloway, marries the vicar, Richard Bradley, in 1890 in Hastings. This family do seem to like getting married at the seaside! This post is very long now and I have discovered even more about the family as I have written it. To complete the story quickly, Joseph Noel Walker marries Grace Winifred Dalton, the daughter of the vicar of Hickleton on 16 April 1914 at Hickleton. The couple honeymooned on the 'Continent and the Italian Lakes' according to a report in the Yorkshire Post and Leeds Intelligencer on 17 April 1914. Little did they know that war was approaching. Joseph joined up at the outbreak of war and was gazetted a 2nd Lieutenant within a month. He was 31 years old. Why was he mentioned as the managing director of Warde Aldam hospital in that first cutting? Well, because he was a assistant managing director of Carlton Main Colliery Company, probably still working under his uncle James J Addy. According to this page at The National Archives the hospital was built by the Carleton Main Colliery Co in 1911.